Walter Wolfgang, a 93 year-old survivor of the Holocaust, speaks of his deep regret after the Labour Party National Compliance Committee finds Ken Livingstone guilty of putting the party into disrepute by his comments about specific acts of collaboration between the Nazi regime and Zionist organisations during the 1930s. By FSOI Vice-Chair Jonathan Rosenhead. Ken Livingstone, enfant terrible of the British political left, was arraigned before a Labour Party tribunal last week for things he said in a radio interview in April last year. (He has been suspended from membership since that time.) The outcome of the hearing has produced a mighty uproar. The affair has its origins in a surge of accusations of anti-Semitism against prominent Labour Party members in the early months of 2016. One casualty had been Labour MP Naz Shah, who at the time of the 2014 conflict in Gaza had tweeted extensively and not wisely. (She was then not yet an MP.) Livingstone rode in to her defense, and it was an interview with Vanessa Feltz on BBC Radio that led to the case against him. One of Shah’s re-tweets had been a quote from Martin Luther King: “Remember that everything that Hitler did in Germany was legal.” Feltz asked Livingstone a question about Hitler, seemingly to pick up this point, but he misunderstood the thrust and responded with some views on Hitler’s interactions with European Zionist leaders in the 1930s, which he had written about decades earlier. This response turned out to be a gratuitous own goal, with escalating demands that he be expelled –which peaked last week when the Labour Party tribunal failed to sack him, but ‘only’ extended his suspension. It is a shame that Colin Shindler gave such a one-dimensional account of the Jewish community component of this furor. Shindler paints a picture of a British Jewish population all but united behind Israel and against Livingstone, except for a few ”marginal” and “highly unrepresentative” types. Like me. I need to declare an interest. Although my previous direct contact with Livingstone was limited to a conversation while walking down two flights of stairs after a public meeting some years ago, I was one of five Jewish Labour Party members who gave evidence for the defense at Ken’s hearing a week ago. We testified in particular on the allegation that his remarks had been anti-Semitic. The oldest of us had got out of Germany as a child in 1937, with his parents lucky enough to make it two years later. My own back story is less dramatic. I grew up in a thoroughly Zionist family in Liverpool. I spent the summer of 1956 in Israel on the Jewish Agency’s Summer Institute project. I celebrated without any doubts Israel’s military victories from 1948 through to 1967. Many others have since then, like me, been forced by Israel’s continuing treatment of the Palestinians to rethink and regret our former position. It is true as Shindler says that the great majority of us (around 90 percent, according to a reputable 2015 survey) express some degree of attachment to Israel. Indeed I do myself. However what he glosses over is that more than 40 percent of respondents, when specifically asked, declined to describe themselves as Zionists. Those who self-describe as Zionist have actually decreased from 72 percent to 59 percent in just five years. My own subjective experience is that of those who still do identify as Zionists a substantial proportion express criticisms, some verging on disillusion, with the actual policies of successive Israeli governments. It gets worse. What the survey calls “dovishness” increases the younger you are, and the more education you have. Among under-30s, the percentage who say they would support sanctions against Israel if they thought it would get Israel to negotiate for real with the Palestinians rises to 41%. It is not only Shindler who paints a picture of a united Jewish community “up in arms” because the “anti-Semite” Livingstone has not been expelled. On the day of his non-expulsion Haaretz reported the Jewish Leadership Council as blasting the Labour Party. An article by Daniella Peled quoted incandescent condemnation by the Community Security Trust, the Board of Deputies of British Jews, and the Holocaust Education Trust. The UK’s Jewish communal organizations have indeed been jumping up and down and making a lot of noise, in unison. But this apparent unanimity is a construct. These organizations effectively blanket out any coverage of this dissident, alternative Jewish perspective. It is as if the Jewish organizations which take a skeptical or downright critical view of Israel – Jews for Justice for Palestinians, Free Speech on Israel, Independent Jewish Voices, Jewish Socialist Group and others – do not exist. So what did Livingstone say that makes his expulsion so compulsive? He said, in his now infamous radio interview, that when Hitler became chancellor “his policy then was that Jews should be moved to Israel. He was supporting Zionism…” This Transfer (Ha’avarah) Agreement is, perhaps unfortunately, solidly based in fact – and many more people probably know that now than did before Livingstone’s gratuitous history lesson. The agreement was based on a unity of purpose (but not of motivation) between the Nazi regime and a range of European Zionist organizations, which lasted through to 1937. The Nazis wanted Jews out of Germany, and Zionists wanted Jews to settle Palestine. As a quid pro quo for the arrangement Zionists called off the economic boycott of Germany and gave other assistance to the faltering German economy. How could this statement of facts be seen as anti-Semitic? One neat solution found by Livingstone’s enemies was to misquote it, either as “Hitler and the Zionists collaborated”; or even as “Hitler was a Zionist.” The host on a BBC radio program swore blind to me that Livingstone had said just that. Quoting historical facts can hardly be anti-Semitic, which is presumably why the Labour Party didn’t even charge him with it. The allegation was, rather, of “bringing the Party into disrepute” – a nicely vague and plausible accusation, for which he received a two-year suspension. 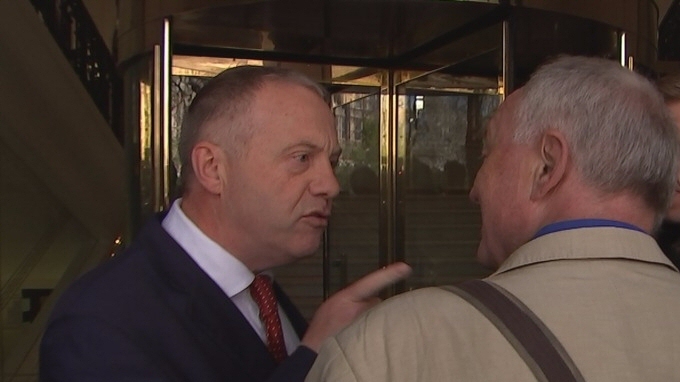 No penalty was imposed on all those MPs and other Labour worthies from the right of the Party who seemingly thought they might be able to get rid of one of the Party leader Jeremy Corbyn’s most effective supporters. They brought the party into disrepute but, of course, were not charged. There are multiple casualties in all this. Foremost there is the truth, bent and misused for partisan purposes. 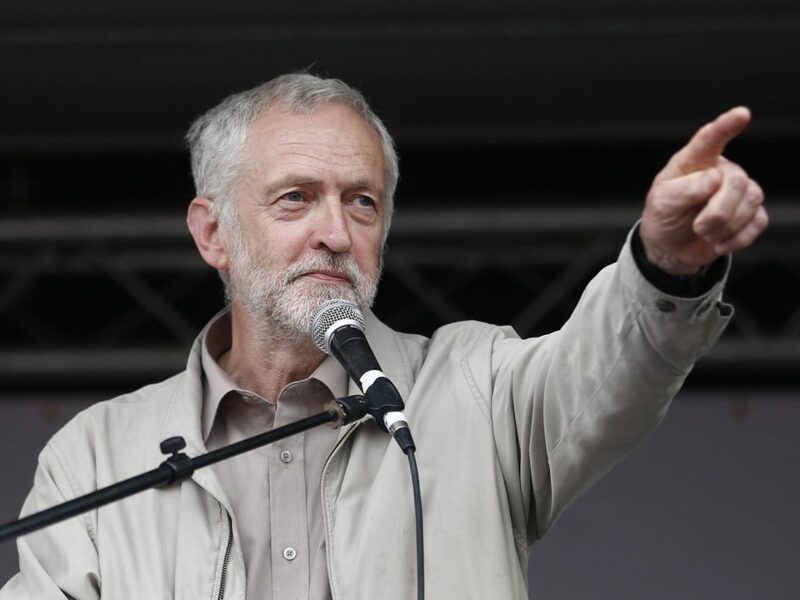 Second, the Labour Party, brought even lower in popular esteem by the continuing disloyal attempts to unseat a leader with a radical mandate – and one who supports the Palestinian cause. Third, the fight against anti-Semitism. Until recently there was no doubt about what the concept meant, and that it was anathema to all but an unsavory fringe. Individuals and organizations who think that it can be raised into both a shield against criticisms of Israel, and a weapon for taking back control of the Labour Party, are trying to politicize the notion of anti-Semitism. Only the real anti-Semites will benefit from the resulting confusion.